Given that I’m now back in the office again, and that I had weekend visitors, this was a pretty productive week! I’d love to say that my ‘To Do’ list is shrinking accordingly, but it doesn’t seem to be… At least I have no external commitments for this weekend, which gives me a luxurious Friday night, Saturday and Sunday to sew/design. Piece Bee With You block – cats for this month, eek! I love your choice of fabrics. Really eye catching! Great work! The Sew Happy quilt is fantastic! I'm so stumped about the name badge, I actually kept dreaming about it last night!! 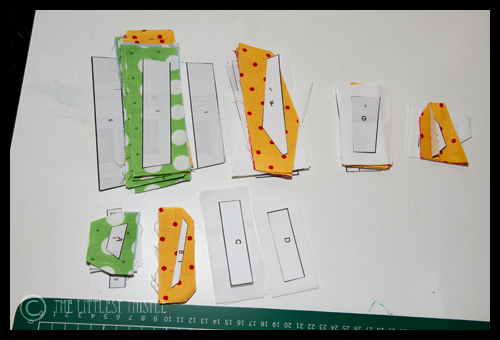 Those Sew Bee Joyful blocks–any idea what those fabrics are? You always have so much going on! Love you SHQ! So bright and cheerful! It is going to be well loved! 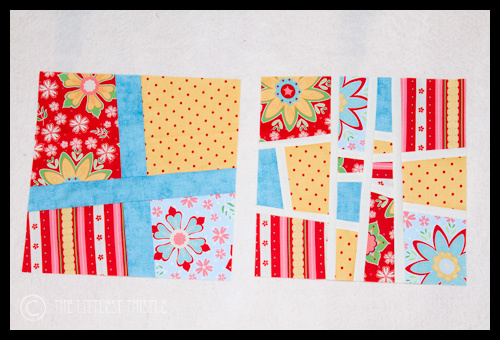 I love your Sew Bee joyful blocks and your SH Quilt is so happy and bright! Sounds like you have a busy and productive time coming up. You've certainly got a lot on your creative plate!! I'm intrigued by the secret project!! Love the colour of the So Be Joyful block. Especially the rich butter and red spot fabric. 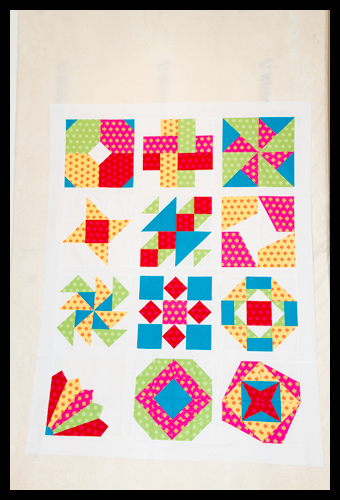 Lovely quilt, lovely blocks. Bright colors tend to scare me but you are a Pro. wow you have a lot going on ………..again !! Lovely, colorful projects! I like the Sew Happy Quilt quite a lot. 🙂 Are you having it longarm quilted? 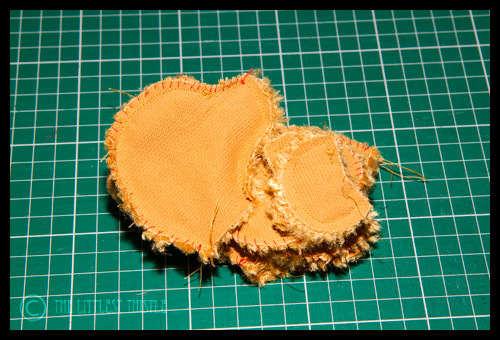 The dismembered bear does look a little sad…but I know he will transform into a beauty! Lovely makes as ever Katy! Your sampler is just spectacular! I really like the colors you used! You have a lot of beautiful bright colors going on there. Can't wait to see that wee bear. You have been busy. I on the other hand have very little to show for the week, you are obviously way superior at time management than I am. Looking forward to seeing the secret project and the non dismemebered bear. How do you do all this and work full time too?!! Sew Happy lives up to it's name! Your quilt top is beautiful! I can't wait to see it quilted. I am kind of at a loss on how to quilt mine. I love all the fun colors in your blocks!